No matter how carefully I describe this process it will sound like Greek to most people. Nothing saves the day like pictures and diagrams. 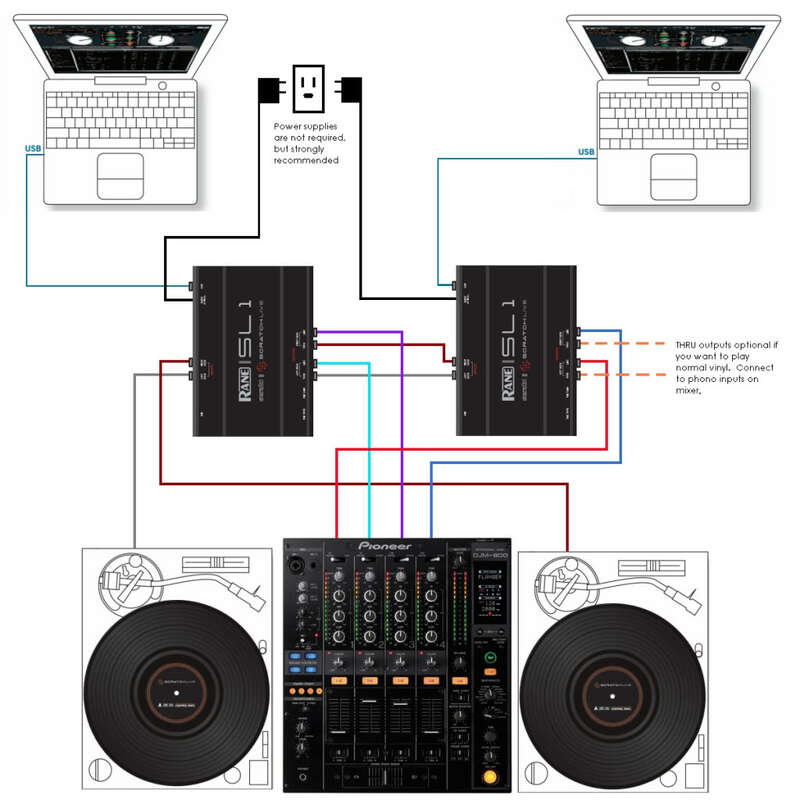 So I’m cutting straight to the chase and below is an illustrated diagram of how to have your DJ cake and eat it too (provided your DJ cake involves wiring two laptops up for playback on a four-channel mixer). Hope this is helpful.